Lexi never fails us with epic holiday ideas. 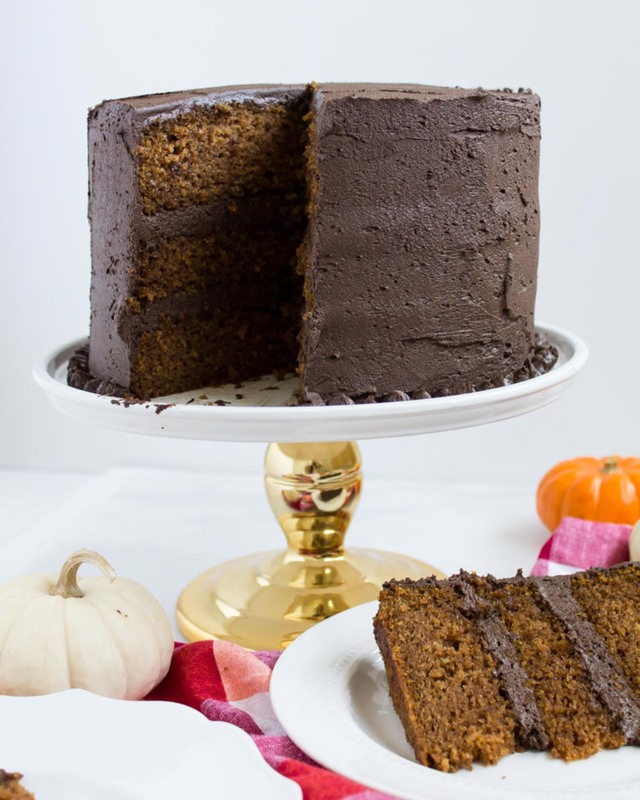 We’re ready to dive into this pumpkin cake with fluffy chocolate frosting. It’s the perfect dessert to include in next week’s Thanksgiving table. To get the full recipe and more great holiday ideas, head on over to Lexi’s blog, Glitter Inc.